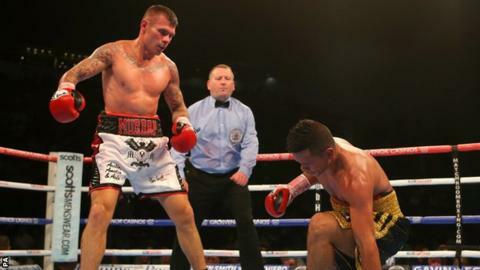 Briton Martin Murray will fight German Arthur Abraham for the WBO world super middleweight title in Hannover, Germany on 21 November. Murray, 33, from St Helens, moved up to the weight having failed in his previous three attempts at landing a world title at middleweight. "I am thrilled to have the chance to face Arthur," said Murray. "It's the fight I targeted when I chose to move up. I'm at my natural weight now and believe I'll become champion."